In an official response to nine Sworn Complaints, the Texas Ethics Commission (TEC) has notified most members of the San Antonio City Council they are being investigated for multiple campaign finance violations. Mayor Julian Castro, Council members Cris Medina and Diego Bernal had the most alleged violations at over 200 each. The Sworn Complaints allege 41 instances of accepting donations from corporations. Corporate donations are, if done knowingly, a 3rd degree felony offense. All nine complaints alleged these offenses. Well known names include MacDonalds, Inc., Holiday Inns, Inc. and Texas Associaton of Realtors. The Texas Ethics Advisory Board (TEAB) reports that more than fifteen more Sworn Complaints will be initiated on the corporations who contributed to the council members campaigns. Pending the results of the TEC investigations, the TEAB will refer any felonies to Bexar County District Attorney Susan Reed. Another frequent complaint was the diversion of campaign funds to personal use. If confirmed, this would make Mayor Castro and Council members Cris Medina and Diego Bernal and others civilly liable to the State of Texas including court costs. Other frequent alleged violations of State law included failure to report out of state travel, filing late reports and having serious contribution balance discrepancies – unaccounted for money. Mr. Jim Doyle, Mr Bill Berntsen, Mr. Alvin Schleiske and Mr. Tom Curry, well-known Woodlands TEA party supporters and community activists, filed the complaints after noticing the alleged campaign finance violations. The Mayor and the eight council members will have to answer to the allegations with an explanation or corrected reports or both by April 15. They signed their campaign finance reports under the penalty of perjury, and bear the responsibility for checking their reports accuracy and fully disclosing the information required by state law. 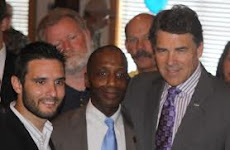 Making a false, material, perjurious statement during or in connection with an official Texas Ethics Commission proceeding constitutes aggravated perjury, a felony of the third degree. Doyle, Berntsen, Schleiske, Curry and the TEAB are members of a large group of citizen-taxpayers in suburban Houston and surrounding counties who conduct statewide audits of progressive candidates, officeholders and political action committees who have long been contributing to the runaway growth of government and the loss of constitutional authority. In this case, the approval by the San Antonio City Council of spousal benefits for homosexual couples brought scrutiny by the above mentioned complainants. I'm not surprised, Castro is a Obama buddy, and doesn't he have a brother and both have bragged about being Communists? Bravo to the activists who brought this to light. God Bless Texas. We must defend and protect our great state if we are to survive this evil movement taking over our country. Business as usual in San Antonio. Voting irregularities are the norm. Their Pockets and Interests are First ; CRIMINALS at Work. Casinos the beginning of riches. Gclub Slot It is a website that offers online gambling services. The new online casino game genre makes it easier to play online casino games because it is easier to play the game. Nowadays, online gambling is considered a joy. And the ability to play online gambling games of the player is very much because playing games online casino games are quite different from playing casino games online. By the way, players will be playing online games on the computer screen with the latest online casino games to change the view. And online gambling games that bettors have never seen before. By default, playing gambling online through this system. It's like playing online games online. Have fun, have a lot of games to choose from.